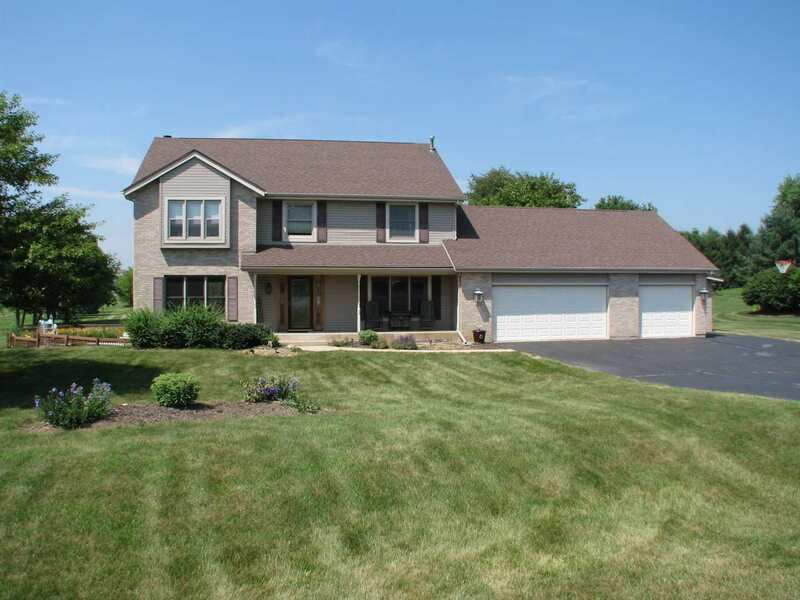 Beautiful 2700+ sf 5 bedroom, 3.5 bathroom home with fabulous yard, in-ground pool, patio, deck and gazebo. Spacious eat-in kitchen opens to family room with fireplace. Formal dining and living rooms. Master suite with fireplace, private bath with double vanity and jacuzzi tub, and walki-in closet. An additional almost 1000 sf of finished space in the lower level with full walkout, 5th bedroom, and 3/4 bathroom. Boone county taxes, great Belvidere North School District, close to I90/39, new MercyHealth campus, Sportscore 2, and YMCA. Home warranty.